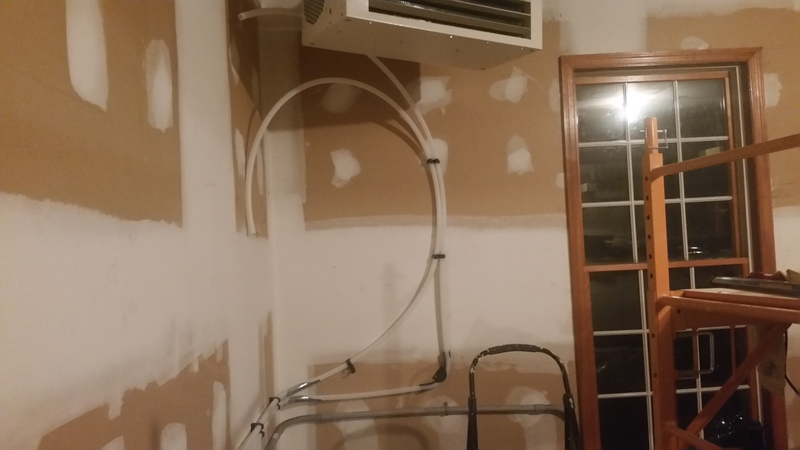 Should I insulate the 3/4 pex for my modine hydronic garage heater? The pex is running in my basement for about 65 feet, then in the garage for 25 feet. We ran the pex side by side for about 20 feet in the basement, the rest was separated and attached by snapping clips. Is it worth it to insulate them? If so, how would I insulate the runs that side by side? In those situations, two clips are abutted to each other and the pex then runs parallel side by side, supply and return. Thanks. My calculator does not have a setting for pex. Here is what an uninsulated copper pipe would lose with and without 1/2" foam. The question is, is losing the heat to the space a big deal? In the case of the garage, I would think not as you are trying to heat the space anyway. Like Zman mentioned.. you may want the extra heat from the un-insulated pipes. 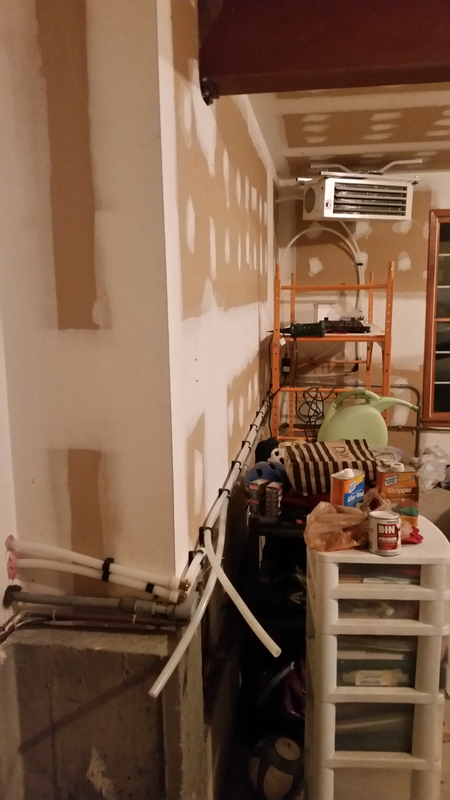 When I switched from atmospheric to mod-con boiler my basement became much colder, I ended up removing some of the insulation on the supply runs to add a little heat back into the room. If you want, or need all the heat energy at the Modine then insulate. The Modine will transfer that energy better than the wall of pex. Thanks guys. I will see how much of a temperature difference there is. I have another question. Someone mentioned to me that the return line should be pitched down towards the boiler. I certainly did not do that. There are long runs where it is simply snapped into clips under the joists. There are long runs where it is flat. There will be a relief valve at the top of the heater to bleed off air. Do I really need to worry about the pitch of return? The relief valve is NOT for bleeding off air, An Air Scoop or Spiro Vent is for air removal! More likely an air bleeder of some sorts up high on the heater? Thank you so much for the clarification on the pitch and air removal. Above is a picture of the two potential pex routes up to the heater. One is using a metal PEX bend support and therefore a more defined corner. The other is just using a gradual bend and pex clips to the wall. Both setups are already using a bend support in the corner before it. You will see it in the picture. Which way is more desirable? I like the look of the more direct bend, but want to make sure that it is not restrictive. Thanks. You are overthinking the 90's. The harder 90's look nicer. Cutting in 90 fittings would also be acceptable. I am curious why you ran it so low across the room where it could be damaged? Hmmm, that is a good question. I had to come out of the basement into the garage low, where that electrical conduit comes out. I then just followed the electrical conduit. I will look at the wall again and see if I can run that differently. I could come up the wall a bit, but will always have to be below the large structural steel beam that runs perpendicular along the ceiling. I attached a new picture that will show where exits from the basement down on the left to across the garage wall and up to the heater. Notice the structural steel beam that limits the height where I can go with the PEX. I am thinking of changing the run so at the end of the long wall it goes up towards the heater and crosses near the top as opposed to being on that back window wall. The other option is coming up from the elbows that come out of the basement and then running across at the height of the structural beam. I wouldn't leave it like that. It just looks wrong. Ideally the pipes would be behind the sheetrock, but if you must leave it exposed I would run it as high as possible and insulate any exposed piping. I have to come into the garage low. So, I guess I can turn the 90s so that the Pex goes straight up the wall and then across at the height of the beam. Do you guys think that would be better and then just a short section near the ceiling of the window wall? That would get it all up high. I think it would be better, just keep it all clamped down nicely like you have it, it's good to see someone run PEX without it sagging down in multiple locations. I think I am going to leave where the pex is, but shield it. 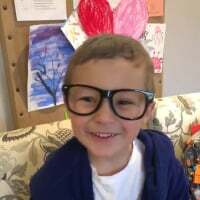 If I bring it up to where the beam is, it will be in the middle of a clean wall, where as in its current location, there is the electrical conduit and the concrete bump out. So, can someone recommend one of those faux gutter looking covers? It essentially a line set cover for HVAC. I could cover the pex with that and then paint it to match the wall. I think that could really solve the problem and look good. I used the Fortress lineset covers for my mini-split last summer.. pretty decent overall. Don't think they're paintable, but they offer a few different colors. in practical terms what that means is copper will give off heat about 600 times faster than PEX (cross-linked polyeth.) piping for a given amount of time. So no don't worry about insulating the PEX since it's going to a heater and what heat the pex does give off on its run to the modine heater will be minimal figuring the modine will operate not for long periods of time, and what little heat that is given off will be heating that general area which is not really wasted.